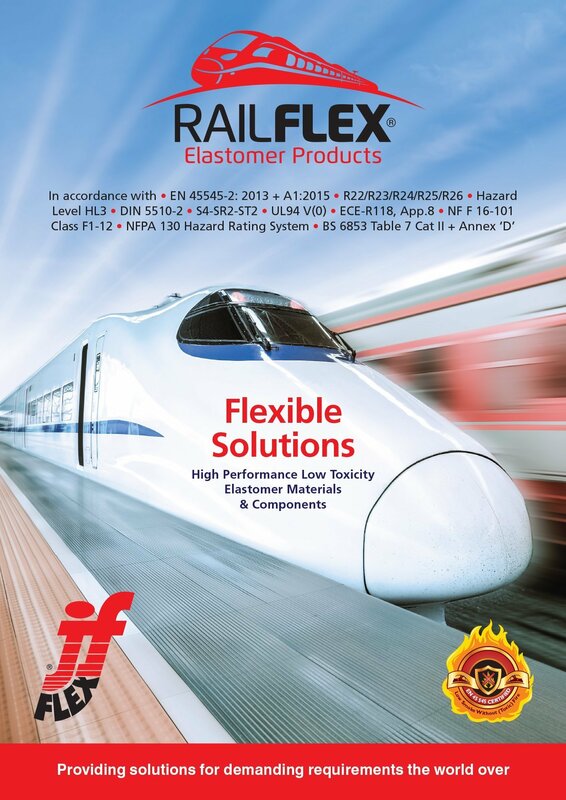 Home » Railflex®, exclusive from J-Flex! Railflex® – exclusive from J-Flex – could be perfect for your next project! Following the introduction of European Standard EN45545:2013 + A1:2015, J-Flex has worked with a leading European compound supplier to develop a range of products that meet the requirements of this norm. We have also protected our range of materials with an intellectual property registration and our material is marketed under the brand name, Railflex®. Exclusive to J-Flex, all Railflex® products have been independently tested and certified by leading fire test laboratories. Full material datasheets, samples and test reports are available upon request. For more information, simply fill out the contact form and we will get back to you as soon as possible. Alternatively you can call us on +44 (0) 1777 712400 or request a quote, sample or a callback using the buttons below. EPDM, Silicone and Neoprene materials have excellent environmental resistance, withstanding Ozone, U.V., rain and frost meaning outdoor applications such as lighting systems and enclosures are kept water and dust tight. Railflex® materials are resistant to corrosion;moisture; salt and light fuels. 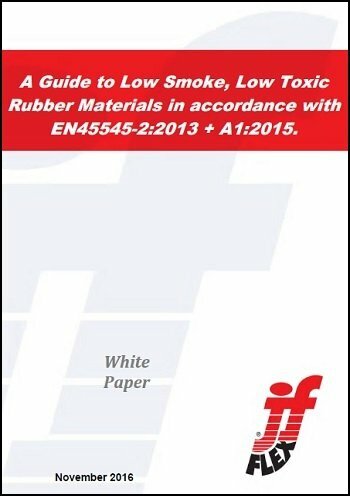 Free ‘A Guide to Low Smoke, Low Toxic Rubber Materials in accordance with EN45545-2:2013 + A1:2015′ White Paper! This guide has been created to equip those professionals involved in purchasing, engineering and designing of original equipment or refurbishing of existing rail and mass transit equipment, with a clear insight into what can be achieved with elastomeric materials for this market. The White Paper includes details of the New Standard, EN45545-2:2013 + A1:2015, plus Hazard Levels, Requirement Sets and Test Methods.